The Sage Sagittarius, the so-called 'death ship'. SHIPPING giants that use developing countries as their home base will be the target of a major inquiry after the Senate backed the probe. West Australian Labor Senator Glenn Sterle secured enough support from crossbenchers to go ahead with the investigation into "flag of convenience shipping". It passed without opposition from the Coalition Government. 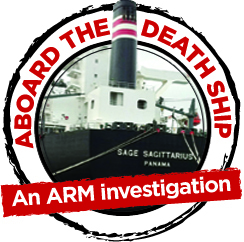 The inquiry was sought by the International Transport Workers Federation following the start of a coronial inquest into the Sage Sagittarius -- notoriously dubbed the "death ship" -- in late May. Three crewmen on board the Sagittarius died in suspicious circumstances in late 2012, two of them in Australian waters. The inquest follows an 18-month investigation into the ship by Australian Regional Media, the publisher of this website. Senator Sterle said Australians were unaware of how foreign seafarers were treated aboard these ships. "A lot of concerns have arisen again on how foreign seaman are treated, how they're paid, whether the companies are structured in tax havens," Senator Sterle said. This inquiry, he said, had conditions broad enough "to drive a road train through", so it would be able to examine issues "further afield". The Labor Senator said with the Federal Government's proposed shipping reforms to rely heavily on foreign workers, the possible cost to Australia's environment and national security had to be considered. He said even if those reforms were put in place before the inquiry was complete, it would not hamper its efforts. "Nothing will hold us back," he said. Following the result, ITF Australian coordinator Dean Summers said the three deaths aboard the Sagittarius would not be in vain. It would be the first time since the 1992 Ships of Shame report, done by a House of Representatives Transport committee, revealed the horrifying conditions endured by seafarers who are paid a pittance in the international shipping industry. This inquiry will consider what has changed since that ground-breaking report was published more than two decades ago. "We'll agree that ships have improved, that the quality of ships have improved," Mr Summers said. "But the lot of seafarers has not improved. "The ITF, with some evidence of our inspection regime, know that seafarers are not any better off after 23 years." ITF Australia coordinator Dean Summers: International Transport Workers Federation's Dean Summers following approval for a Senate Inquiry into foreign shipping. The inquiry comes as Deputy Prime Minister Warren Truss prepares to introduce major shipping reforms for the domestic industry. His reforms would allow foreign ships and crews to move cargo between domestic ports without requiring Australian staff unless they operate for more than six months per year. A spokesman for Mr Truss said all ships -- no matter what flag they fly -- are bound by international standards covering their seaworthiness and environmental protection. "Australia's strong environmental and safety laws apply to all ships operating in Australian waters, whether operating in coastal or international trade and irrespective of their flag. 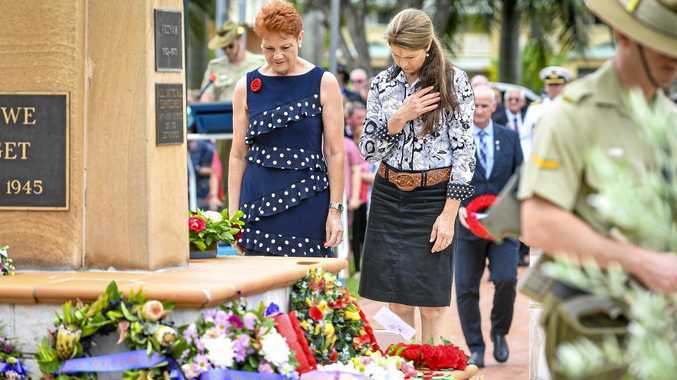 "If a ship does the wrong thing, regardless of the flag it carries, the Australian Maritime Safety Authority will detain the ship until it is fixed, and if the ship still doesn't get the message, AMSA can direct it out of Australian ports and not to come back." The Coalition Government plans to introduce the reforms to Parliament before the end of next week. The committee's report would be released in early 2016. The Notice of Motion put by Senator Glenn Sterle on Wednesday. A SENATE inquiry into how foreign ships operate in Australian waters is expected to be given the go-ahead on Thursday, ahead of the government's push for major maritime reforms. West Australian Labor Senator Glenn Sterle wants the Rural and Regional Affairs and Transport committee -- which he chairs -- to conduct an inquiry into "flag of convenience" shipping. The ships are registered through under-resourced and occasionally land-locked nations, often allowing owners to escape taxes, scrutiny and pay paltry wages. This type of shipping is in sharp focus as a New South Wales coronial inquest examines how two Filipino men came to die aboard the coal-carrying MV Sage Sagittarius in late 2012. The bizarre circumstances of the tragedies in Australian waters meant the Sagittarius, owned by a Japanese firm but registered in Panama, was widely dubbed the "death ship". The inquest follows a major investigation by Australian Regional Media, the publisher of this website. After the first days of the inquest in late May, the International Transport Workers' Federation rallied to have an inquiry launched. ARM broke the news of the campaign, then revealed that the plan had enough in-principle support from Senate crossbenchers to go ahead. Deputy Prime Minister Warren Truss's proposed shipping reforms would allow foreign ships with entirely foreign crews to operate in Australia's domestic freight industry, able to avoid Australian laws governing how crews are paid and treated. Only if they operate for more than six months a year, would they be expected to hire a contingent of Australians and abide by local regulations. Mr Truss has previously said he welcomes "full public scrutiny through the Parliamentary committee process". If Senator Sterle's motion is supported on Thursday, the inquiry would examine how these flag of convenience ships operate in Australia, whether they are seaworthy, the risk of exploitation and corruption on board and what legal rights are available to foreign sailors on board. It would also consider how much has changed since the release of the notorious "Ships of Shame" report in 1992, which highlighted the horrific abuse that was rampant aboard foreign-flagged vessels.